At The Family Relationship Center, we know that relationships can be challenging. We’re committed to helping couples nurture their relationship and continue to make their marriage or partnership stronger. Our therapists understand the complexities of relationships and offer an affirming environment that builds toward the future. Couples often enter into counseling together, but we also offer solo sessions. Male and female therapists are available. Our team has experience with all kinds of marital situations and understands what can cause stress in relationships. You and your spouse will learn from us how to manage that stress and communicate to foster a better, deeper connection. You and your partner are not alone in the trials you face. There are many therapeutic models for couples and relationship counseling. The Family Relationship Center uses both The Gottman Method as well as Emotionally Focused Therapy in sessions. Assessment: Individual interviews with each partner are conducted, followed by a joint assessment of the couple. Therapeutic Interventions: An analysis of couple conflict is one example of a therapeutic intervention. The couple enact a recent conflict and through observation, the therapist identifies the strengths and problems and implements interventions that aim to improve the couple's communication. The therapist assists the couple in effectively repairing the conflict. 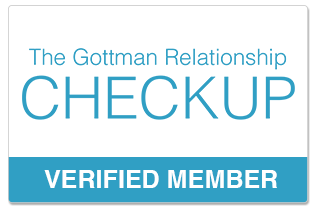 Gottman therapy aim to help couples build stronger relationships overall and healthier ways to cope with issues as they arise in the future. EFT is a structured approach to couples therapy formulated in the 1980's by Dr. Sue Johnson and has developed alongside the science on adult attachment and bonding to expand our understanding about what is happening in couple relationships and to guide therapists. A substantial body of research outlining the effectiveness of EFT now exists. Research studies find that 70-75% of couples move from distress to recovery and approximately 90% show significant improvements. EFT is being used with many different kinds of couples in private practice, university training centers and hospital clinics and many different cultural groups throughout the world. These distressed couples include partners suffering from disorders such as depression, post-traumatic stress disorders and chronic illness. In the initial sessions of treatment, the therapist will assess interaction styles of the couple and help deescalate conflict. In the middle phases of treatment, the therapist and the couple work together to find ways to form new, stronger bonds in the relationship. Changes are consolidated as treatment concludes. A couple might start therapy by learning ways to deescalate conflict about a commonly debated topic, such as finances for example. Then, the couple begins to learn ways to express deeper feelings often covered up by common relationship conflicts, such as a lack of trust. When couples are able to identify and discuss these deeper feelings with compassion, they are often able to form deeper bonds. The final stages of therapy help couples become better able to independently identify the attachment issues underlying conflict and to express related emotions in future interactions. The therapy is considered complete when couples can reliably engage in changed interaction patterns learned in therapy outside of the therapy environment.